PDC Machines’ diaphragm oxygen compressors are the preferred choice when contamination-free, leak-tight oxygen compression is required. Our oxygen compressors are designed to afford you high quality, high reliability, low maintenance and extended service intervals. PDC Machines’ users have reported up to 40,000 hours without any parts replacement needed except for oil changes. 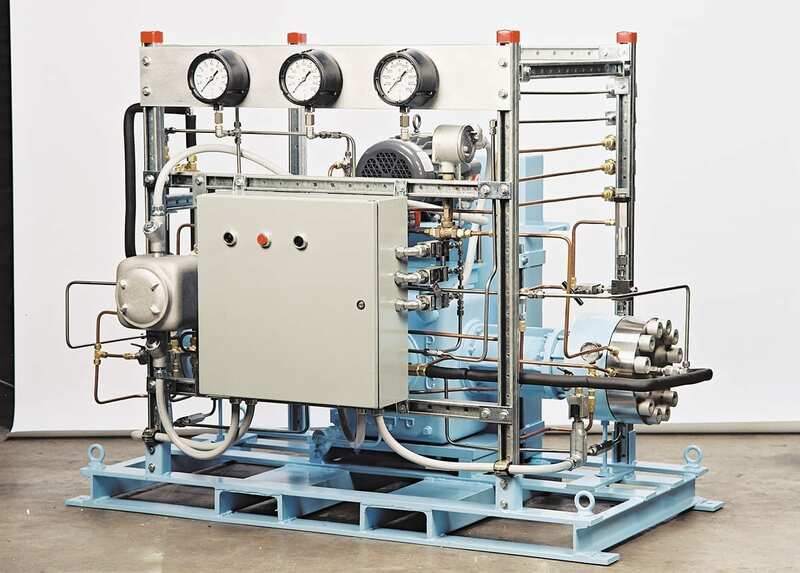 Based upon our extensive experience in compressor technology, and our state-of-the-art engineering and manufacturing capabilities, we work with our customers to provide the optimum solution to satisfy their oxygen gas compression needs. Since 1977, PDC Machines has been providing both standard and custom designed oxygen compressors with a comprehensive assortment of options. We furnish a wide range of equipment from basic units to turnkey, skid-mounted and computer controlled systems. Our oxygen compressors range in size from 3 hp to 200 hp (3 to 150 Kw), discharge pressures vary from 50 psig to 3000 psig (3 barg to 300 barg). For compression of oxygen, fluorine and other highly reactive gases, PDC Machines performs rigorous cleaning procedures in a clean, dust-free environment. We use fire resistant oil for the hydraulic system. We construct the process side diaphragm as well as the inner and outer check valves from materials compatible to oxygen, fluorine and other highly reactive gases. Detailed cleaning records are maintained. PDC-3-550-2500 (50) two stage diaphragm compressor delivering oxygen. This compressor is oxygen cleaned per PDC Machines and customers specifications. This compressor is installed in a hazardous area classification. All critical components are manufactured at PDC Machines, assuring the highest levels of quality control. This also allows us the flexibility to accommodate tight delivery schedules. 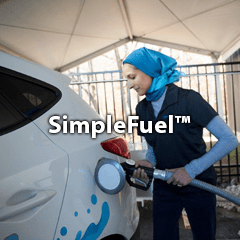 All aspects of our diaphragm oxygen compressor design are intended to enhance component life, improve operation and reduce and simplify maintenance. Diaphragm cavity contours, which control stress in the diaphragms, are precisely machined to provide uniform stress distribution. These cavity contours are computer engineered utilizing Finite Element Analysis techniques. 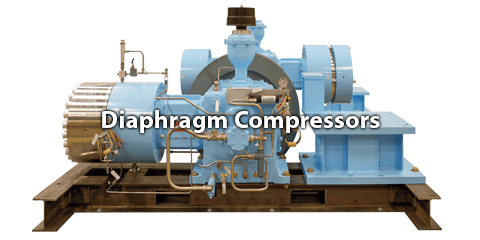 Diaphragm surfaces are specially treated to extend fatigue life. PDC Machines’ oxygen compressor is automatically re-primed at start-up. Incorrect priming will cause cavitation inside the compressor and could lead to damage of the heads, head bolts, diaphragms, O-rings, or the process and hydraulic systems. Automatic unloading eliminates the need for a technician’s presence to re-prime the compressor. The triple diaphragm set ensures that the process gas is isolated from the hydraulic oil. PDC Machines uses static seals and there is no migration of oxygen gas to the crankcase. The crankcase does not require purging or venting, so there is no leakage of process gas to the atmosphere. All process contacting parts are made from stainless steel and high strength polymers. This helps to prevent premature failure of the diaphragms and reduces the cost of spares needed, reduces maintenance frequency and reduces down-time. Features include shutdowns for low suction, high discharge, low oil, low water coolant and diaphragm or O-ring failure. Audible and visual enunciators can be supplied for an added level of protection. 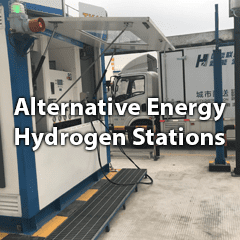 The oxygen compressor will be completely instrumented for automatic operation. Duplex and two-stage diaphragm oxygen compressors are horizontally opposed designs which reduce horsepower requirements and energy costs. PDC Machines’ diaphragm oxygen compressors can be designed and certified to comply with European, American, Canadian, Japanese and other international directives including the National Electrical Code (NEC), Canadian Standards Association (CSA), High Pressure Gas Safety Institute of Japan (KHK), and the European Union’s Pressure Equipment Directive (PED) and ATEX directive for machinery.